The storage wars are heating up – and battling for quality self-storage properties has become quite the tough tactical challenge for independent small-cap investors operating in large metros. The better news for mom-and-pop shops is that self-storage conditions are improving rapidly even in a lot of smaller towns that are under the radar of very active public and private REITs, institutional investment funds and the like. Somewhat ironically, it’s the nation’s ongoing economic and (especially) housing woes that are prompting deep-pocketed players to bid aggressively for complexes in most major markets. Indeed, dynamic downsizing of so many U.S. households continues to boost supply-demand fundamentals in favor of self-storage landlords, explains mini-warehouse investment broker Charles D. “Chico” LeClaire, senior vice president with Marcus & Millichap’s National Self-Storage Group. The sad reality is that a frightening amount of families have lost homes to foreclosure or have otherwise found it necessary to sell and become apartment renters, LeClaire relates. Likewise a lot of people formerly living separately are opting to “double up” and share residences, he adds. Meanwhile many small businesses that had been leasing commercial space have necessarily become home-office operations amid the recession – creating yet more surplus furnishings hopefully returning to use when business becomes more fruitful. And the economy-driven downsizing phenomenon comes on top of the demographic wave of new empty-nesters and recent retirees trading large homes for more compact accommodations – and likewise needing space to store stuff they’re not yet willing to part with. Add it all up and demand for self-storage space has been pretty robust – a factor that quickly rectified the sector’s first true slump in the 2008-09 period. A steady general rebound in occupancies has predictably started pressuring rental rates upward at a meaningful (if hard to quantify) pace – and in turn prompting heady bidding as properties come to market. “With all the investment activity our team is involved in, we’re in position to see rents move, and it’s been pretty constant lately,” observes LeClaire, whose Denver-based team participated in 50-some self-storage sales approximating $200 million in consideration last year – and had another 14 transactions under contract in mid-June. Although reliable nationwide statistics are hard to come by, portfolio performances posted at some of the sector’s large public players certainly second LeClaire’s observations. Data that Chicago-based real estate outfit MJ Partners culled from company reports and filings indicates pretty much all the public self-storage outfits posted strong year-over-year same-store NOI (especially) and revenue gains in the first quarter. Occupancies are generally up notably as well. Improving earnings and enthusiastic outlooks have predictably boosted share prices, with many trading at implied cap rates in the 6s – and even the low-5s in giant Public Storage Inc.’s case. Indeed as the company’s capacity to throw off cash flow has continued to improve, its common stock has been trading above $140 of late. Predictably, cap rates seen with property acquisitions have likewise been eroding amid ongoing consolidation within the sector. While it’s difficult to generalize, MJ Partners points out that major owner-operator Sovran Self Storage (dba Uncle Bob’s) is typically selling solid properties at 7 caps and – and even 6.5 in neighborhoods with the most promising assets. Echoing LeClaire, the firm’s analysis also indicates the big players have become particularly aggressive as they bang heads over acquisitions opportunities in larger metros – no doubt spawning attractive selling opportunities. Among the regions and markets the aggregators identify as the strongest today with respect to occupancy and revenue growth: the Northeast Corridor from D.C. to Boston; Texas markets including Dallas, Austin and San Antonio but not Houston; Northern California and Southern California including L.A. and the Inland Empire but not San Diego; Central and South Florida; Louisiana; North Carolina; Chicago; Denver; and Detroit. This broad competition makes it quite a challenge for local entrepreneurs with limited financial resources to compete for available properties in the largest 25 or 30 MSAs especially, LeClaire points out. Bidding can be quite brisk even in a lot of the preferred second-tier markets, he continues while advising smaller players to sidestep most of these areas. Recent transactions illustrate how the market-size bifurcation can play out. 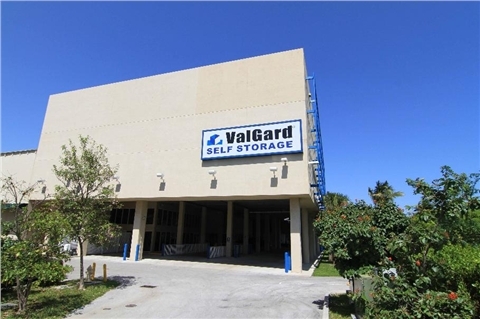 In Miami, Sovran won the bidding over the 998-unit ValGard Self Storage and is rebranding it as an Uncle Bob’s. Even in a secondary market such as Chapel Hill, NC, the highly active Amerco Real Estate specialty sister company of truck rental network U-Haul International outbid other suitors (at $3.11 million) for the 433-unit Ironclad Self Storage property. But as LeClaire relates, lesser-heeled entrepreneurs won’t encounter that kind of competition in most smaller markets – nor with sub-seven-figure properties for that matter. To wit M&L Storage of Flora, Ind. negotiated a $350,000 price for the 106-bay Secure Storage property in Edinburgh – which is well south of Indianapolis. Likewise in Visalia, Cal. outside tertiary market Fresno, a regional buyer ended up with the winning bid of $2.7 million to secure the 604-unit Visalia Mini Storage facility. That’s not to say the sector isn’t still working off some degree of financial distress – much of it stemming from aggressive lending and underwriting during the middle of the preceding decade. While the public companies seem to universally identify Phoenix and Las Vegas as their poorest performers, LeClaire points to some ongoing over-supplies – particularly in peripheral suburbs of major metros in California, Arizona and Florida where expected new rooftops never materialized. But perhaps the bigger issue is that a lot of borrowers are struggling to refinance high-LTV conduit mortgages as due-dates approach. Not only do appraisals frequently come up short of lofty pre-recession valuations, but lenders today are also unwilling to match the 80 or 85 percent LTVs seen back then, LeClaire continues. Leverage generally tops out at 75 percent today – with many lenders more comfortable at 60 to 70, he elaborates. “So we’re seeing a lot of workout negotiations, but also a wave of foreclosures,” LeClaire acknowledges. “And chances are we’ll see another wave” as under-water borrowers and their banks and special servicers aren’t able to fruitfully negotiate modifications. Some active investors including Amerco see distress as a growth opportunity, targeting portfolios that might include several distressed assets along with mixed-quality properties and performing loans. MJ Partners’ research concludes that distressed sales in the sector typically end up pricing at or near replacement cost.